April 25, 2016 (Syracuse, NY) – Studies show one-in-10 children will be sexually abused before the age of 18, according to a Darkness to Light research analysis. While National Child Abuse Prevention Month is soon coming to an end, McMahon/Ryan Child Advocacy Center (CAC) is working tirelessly year-round to assist the Syracuse community in recognizing the signs of child abuse and learning how to prevent it from occurring. 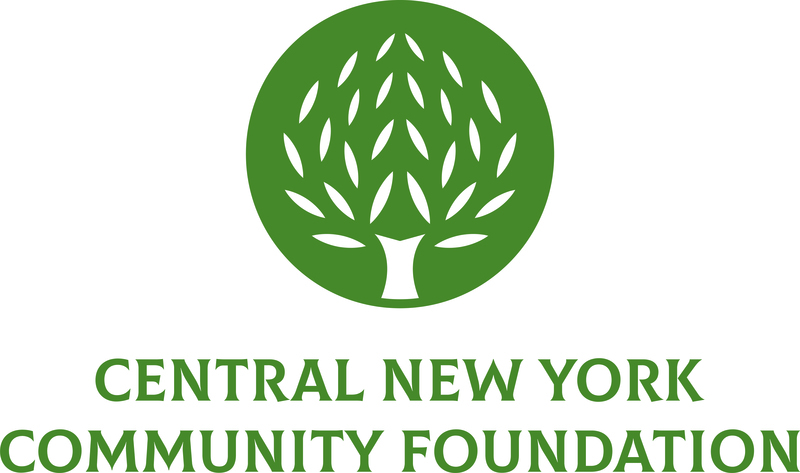 Just a few months ago, the Central New York Community Foundation awarded McMahon/Ryan Child Advocacy Center a Community Grant to fund a public awareness campaign that would bring more attention to this vitally important cause. In April, CAC launched its Go Blue 4 Kids campaign just in time for National Child Abuse Prevention Month. Although McMahon/Ryan has participated in Pinwheels For Prevention in conjunction with the National Child Abuse Prevention campaign for many years, the organization did not feel that its participation was enough to raise awareness about McMahon/Ryan or the topic of child abuse in our local community. As a result, CAC created its own awareness campaign to coincide with the national prevention campaign in April. The Community Foundation’s grant allowed the organization to enhance marketing efforts for the campaign using flyers, posters, and short videos featuring five female health care leaders of Onondaga County who are dedicated to the awareness and prevention of child abuse. McMahon/Ryan Child Advocacy Center is a nationally accredited, nonprofit organization that aims to end child abuse through intervention and education. The center houses a multidisciplinary team which includes law enforcement, medical, therapy, and others services. This allows young victims to receive the necessary services in one child-friendly setting, according to Linda Cleary, executive director at CAC. Typically when a child arrives at McMahon/Ryan, he or she is greeted by a Victim Advocate. Victim Advocates work with the child during their entire time at CAC, making sure he or she has clothing, food, and a safe place to settle after leaving the Center. More importantly, Victim Advocates provide emotional support and any additional support the child or his or her family may need, for as long as they need. After meeting their Victim Advocate, the child meets with law enforcement representatives from the Syracuse City Police Department, the Onondaga County Sheriff’s Department or New York State Police, along with Social Services, to be interviewed. The child also receives a medical examination from the Upstate Golisano Children’s Hospital team that is located on-site. The victim will likely also meet with a therapist. McMahon/Ryan completes necessary paperwork from the NYS Office of Victim Services, providing services, including therapy, to the victim for the rest of his or her life, no matter where he or she lives. Finally, if the case makes it to the point of prosecution, a team also exists on site to carry out that process. “It’s traumatic and yet we minimize that trauma because everything is done in one place,” says Cleary. McMahon/Ryan tries to make the process as normal and stress-free as possible. Officers and detectives are not dressed in uniforms while interviewing victims, snacks are provided for victims during their time at the center, and each child receives a teddy bear and blanket before leaving. CAC has assisted victims as young as three weeks old, and has a cut-off age of seventeen. That being said, there is no norm for the problems faced by victims, according to Cleary. Each case is unique. Community outreach is also very important to CAC. In addition to the services provided for victims, the center also provides training and educational information regarding child abuse to schools and adults in the community. The Community Foundation helped fund McMahon/Ryan’s Darkness to Light program which focuses on educating and training adults regarding sexual abuse of children, what to look for and how to handle suspected abuse. “It takes adults to protect our children. Children should not be in the position of having to protect themselves,” says Cleary. As for the future of McMahon/Ryan Child Advocacy Center, Cleary shared that while awareness of child abuse is important, the organization’s ultimate goal is to prevent child abuse from happening. It is encouraging to see that Community Foundation grant dollars are making a significant impact on the lives of our region’s most vulnerable citizens. These programs will continue to make a significant impact on our community as the hard and dedicated work of McMahon/Ryan continues its effort to eradicate child abuse for good.